Good for Sim-Sim. From what we've been told, this is the only authentic Azerbaijani restaurant in Brooklyn, although I wouldn't take that to the bank. Back in October, the Voice did a real review of the joint, and gave it high marks -- high enough, apparently, to make Best of 2008. 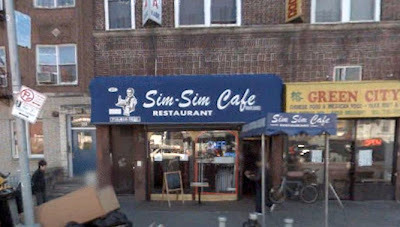 Sim-Sim Café is located at 312 Ditmas Avenue, between E.3rd and E.4th.